July 23rd 2008 - Healers across the country are discovering a new and wonderful way to graphically demonstrate the power of their skills – through Biofeedback Aura Photography. Now, with the amazing WinAura system, clients can see their living aura – not as a stagnant color they carry with them all day, but as a vibrant, changing energy that surrounds them and changes as their thoughts, feelings and moods change. For years, clients thought the aura was like a shirt – a color that pretty much stayed the same unless there were dynamic changes in their live. 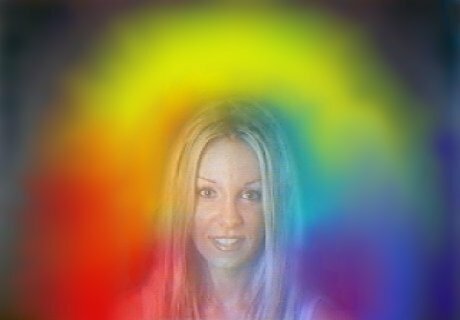 In reality, the aura is an expression of energy – more like your face that changes in expression as you relate to the world around you. Using this awareness, healers have discovered the power of providing a ‘before’ and ‘after’ Biofeedback Aura Photo to clients to demonstrate the changes that result from their work. Additionally, the WinAura is capable of recording a session – where the client is sitting in front of the camera, touching the sensors, so you can see their aura. Then, the healer, using another set of sensors, walks into the camera field and you can see their aura. As they move to the client, you can see the colors of the aura change – and record the entire session. That recording can be saved to a CD for future viewing.